Celebrating a milestone? 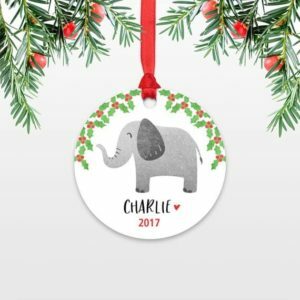 Unique Christmas ornaments are a great way to commemorate Baby’s first Christmas or your first year of marriage. This guide will help you find the perfect unique Christmas ornaments for your tree. You can also surprise your loved ones with personalized Christmas ornaments in their stockings this year. 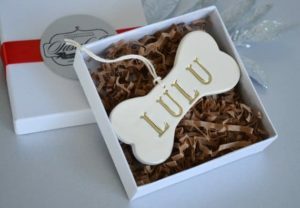 Personalizing with a name or favorite animal makes your unique Christmas ornaments extra special – they tell your loved one you know them well and know what they love! 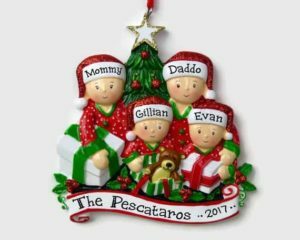 Click on the links below to personalize your own ornaments. Christmas is about family and having an ornament that represents everyone will be a favorite. 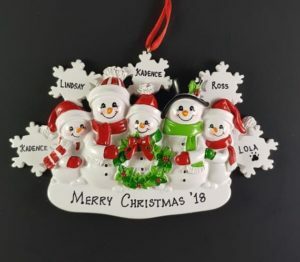 There are simple ornaments with your family name, but I prefer more elaborate ones that include everyone on one special piece. Click on the links below to customize for your family. First Christmas as Mr. and Mrs.? 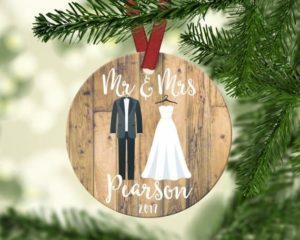 Mark the occasion with a newlywed Christmas ornament! The below would also make a great wedding present. Click on the links to personalize your own newlywed ornament! 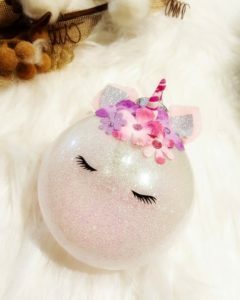 These unique ornaments would make great baby gifts. They are so sweet and special for baby’s first Christmas. We can’t forget our fur babies at Christmas! 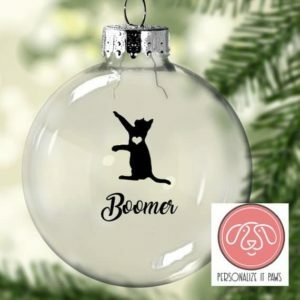 These adorable ornaments for pets are a simple way to include all the members of your family on your tree. Decorating a Christmas Tree is a treasured tradition in many homes. 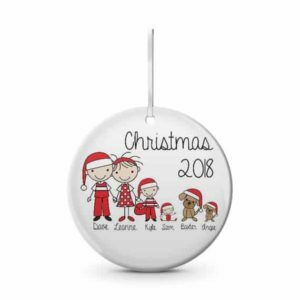 Make it extra special with unique Christmas ornaments – either personalize them for each family member or design a personalized family ornament. Don’t forget your pet! 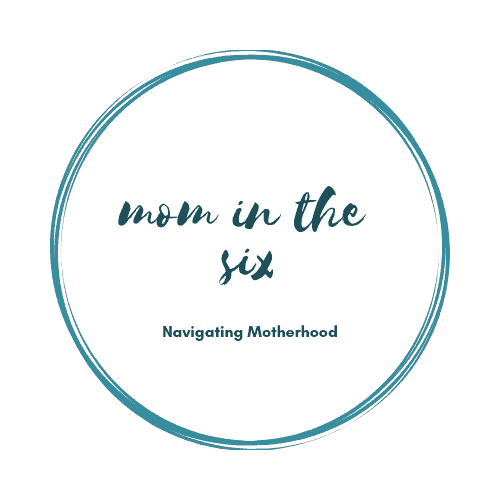 Christmas is a great time to celebrate milestones from the year as well – for example Baby’s First Christmas or your first Christmas as newlyweds.